This is a list of woodworking plans related everyting boat related. 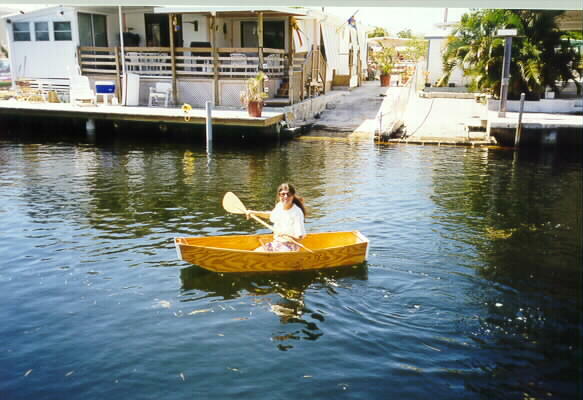 Learn how to build row boats, sail boats, canoes, and all kinds of accessories. 11 Free Woodworking Plans found in the "Boating plans" Category. Have you ever found your self in need of a woodworking plan for a 16 foot cabin cruiser. I didn't think so. In the unlikely case, we have the free woodworking plan for you. Check out this plan even if you are only slightly interested in what it takes to build such a boat. See how it was done in the old days before we had the ear muffs that go on the motor. If you need a motor test tank than we have one for you. Check out this free plan. Take a look at the picture. I don't think that you can call this one a dinghy. I'd describe it more as a match book, but the plans to build this are excellent. Take a look at the diagrams and the instructions and I think you'll find that you can build one too. The river boat plan includes detailed instructions, a material list, and 7 pages of diagrams to help you build this boat. A dory boat is a small shallow draft boat meant to row powered. They are lightweight and versatile. This woodworking plan will show you how to build one. It has excellent written instructions and the page is packed full of pictures. Have you ever needed a scarfing jig. Boy, I can't count the number of times that I've needed one of these babies. I'm assuming that it has something to do with boating, so that's why it's listed here.